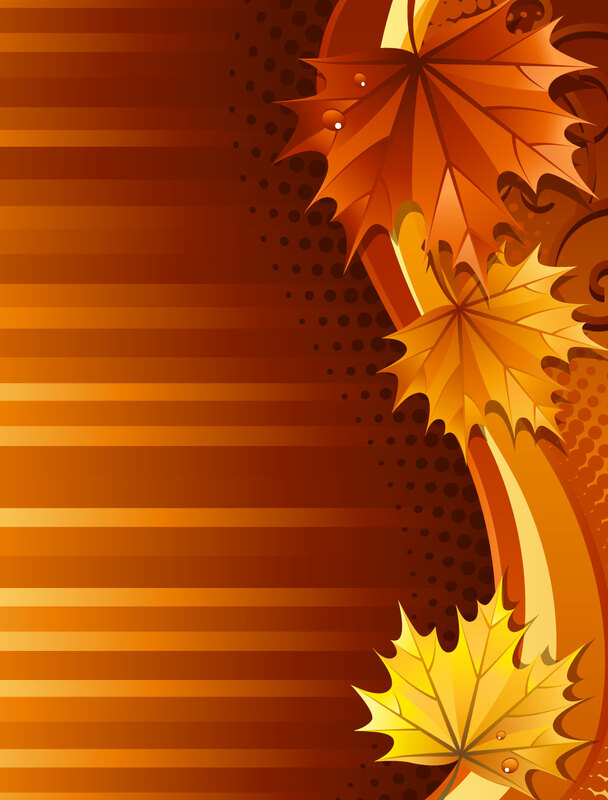 Fall leaves border vector design. Vertical layout with horizontal stripes, halftone dots, swooshes, scroll graphics and maple leaves and all in absolutely beautiful autumn colors. Rotate the artwork for an instant horizontal design that works equally well. Free download for seasonal greeting cards, business cards and flyers. Abstract autumn nature layout to create beautiful seasonal designs, beauty of falling leaves, outdoors, environment, outdoors, October and November calendar months, rusty colors, woods, park and forest illustrations. Tags: Fall, Forest, Gold, Leaf Vectors, Rusty, Seasons, Weather, Wooden, Woods.